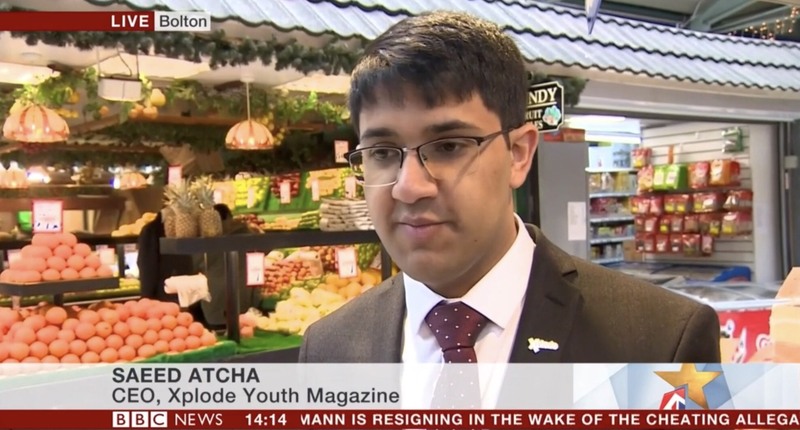 Saeed Atcha, CEO of Xplode, voiced his frustration over the lack of engagement with young people in a BBC News Brexit special, which was broadcast from Bolton Market. Do you feel that your voice has been heard in the #Brexit talks? 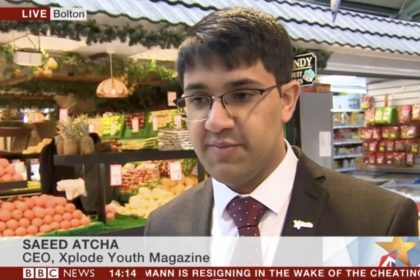 Speaking to BBC News, Mr Atcha said 20 percent of the population had “zero” representation at the Brexit decision making table. He said: “The key is to make sure – whether young people were for or against Brexit – that they have a say in their futures. They are the generation that will have to live with the effects for the longest. “Young people are 20 percent of the population, but zero percent of them are sitting at that top table making the decisions. Thursday marked a year to go until Brexit, with much of the future deal between the UK and the European Union anticipated to take shape in the months ahead.